My realistic journey towards constant levitation. TO BE A GREAT TEACHER YOU MUST BE WILLING TO GIVE UP ALL YOUR SECRETS. 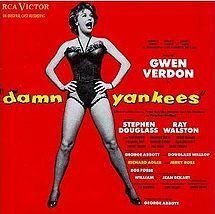 Miss Gwen Verdon spoke those words to me during the pre-broadway tryout for Fosse the musical. I had known her for a few years by that point having worked on the show and it’s creation for years before it ever came close to the big ol’ Broadway. We had just finished a note session in which she had given me an immense amount of very specific, picky corrections. I was feeling a bit picked on…but was relishing the time with Gwen. I had made a promise to myself to always try to be a sponge around her. One of my idols–was literally telling me how I could be a better performer. It was thrilling, really. I thanked her for notes and I asked her how she was doing…if she was as tired as I was? (probably not-this woman was a workhorse) And she said…..(with the famous warbling voice)…well…it’s a funny thing. When you become a teacher-you give yourself in a different way than when you are performing. When you perform, you always have a secret….it keeps the audience interested….when you teach….to be a great teacher, you must be willing to give up all your secrets. It’s a different energy. You have to be ready for that. If not, then you aren’t ready to teach. Then she wished me a good show, and left me standing, awestruck in my dressing room. Did I realize that in that moment the universe had literally opened up and dropped the meaning of life in my lap???? Well. No. But it has stuck with me ever since. A few years later, Gwen passed on in her sleep and it hit all of us very hard. But I have always felt that among the mountains of gifts that she gave me, including the opportunity to perform Bob Fosse’s best work; with that comment, she gave me a little glimpse of the divine. She lives on every time I step on a stage-what she gave to me is part of me now. As I come to the end of my Yoga teacher training, these words echo in my head again. To be a good teacher, you have to be willing to give up all your secrets. Hold nothing back. Do everything you can to make sure your student gets every morsel of info to make them the best they can be. Pass it on and you will live forever. Thank you Shannon for sharing such an inspirational moment in your life. What a beautiful story! I’m so proud and inspired by you. Welcome to the new Finding namaste! Thanks for joining me on my journey. You can subscribe to my blog and get new posts by email. Expanded and updated! Now a blog, a link to my performing website, a link to my yoga teaching world, a link to my favorite things....and much more. Hope you like it and thanks for reading. Pass it on!